Time flies. 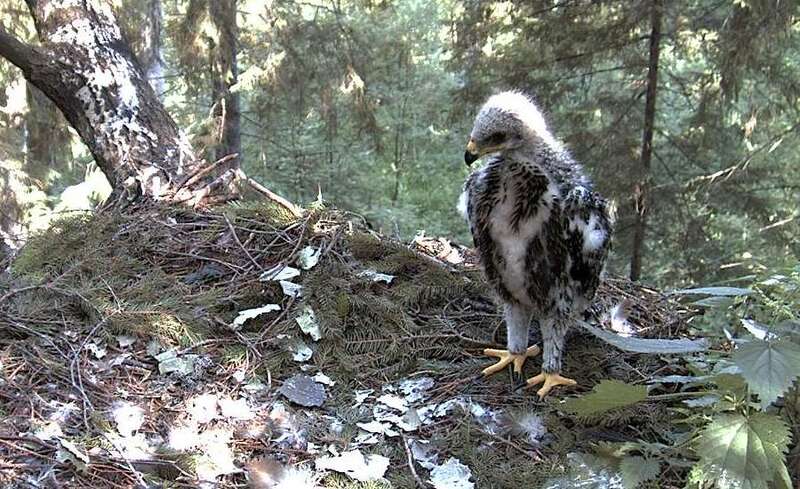 Tormi, the only offspring of lesser spotted eagles Tuuli and Remo, celebrates another birthday. Proper feathers develop, eating on one's own and standing up work well. Tormi knows too that it isn’t as hot in the shadow as in the sun. Life is beautiful. 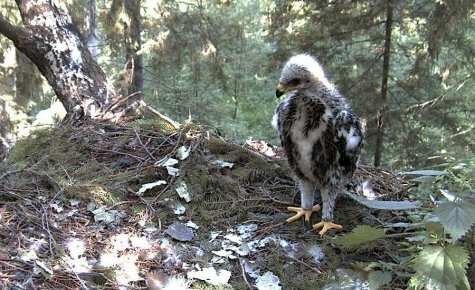 One more month, and in the beginning of August Tormi should fledge.